Mary Sloss is a marketing expert who blends creativity and insights to bring brands to life. As the marketing director for FanThreeSixty, she oversees the company's brand strategy and market position as the leading provider of remarkable fan experiences fueled by data. Recently, our partners from OUTFRONT Sports came to Kansas City for the second annual Winter Summit: Experience Delivered. While it may have been more appropriate to call it an ‘Arctic Summit’ (thank you polar vortex), it was clear from the conversations that a revolution is underway in the world of sports sponsorships. Historically, sports teams didn’t have to compete for fans’ eyeballs—their three-hour event was always center stage. But the ubiquity of mobile and the rise of consumer choice has changed this. From streaming content and watching games on-demand to watch parties, fans are now in control about where, when and how they tune in to their favorite teams. The product on the field is no longer what draws them into the stadium; it’s the experience that wins. We live in the experience economy, and it’s changed how brands connect with today’s sports fans. Traditional sponsorship assets, from stadium naming rights to in-venue boards, no longer drive incremental value with fans. It’s the equivalent to shotgun advertising and - while not dead - it’s not enough. Experience sells, and this is what brands want to help deliver to fans. They want to do more than be a part of the game; they want to immerse themselves into it. By doing so, brands aren’t just providing a remarkable experience, they are also helping teams form emotional connections that last a lifetime. Data-fueled experiences like this meet the evolving needs of brands, too. Fan behaviors haven’t just impacted the game; they’ve impacted sponsorship models. 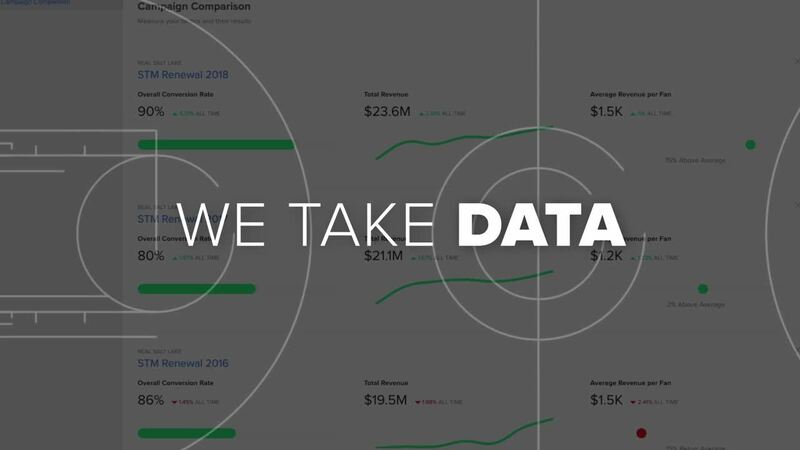 Now data-centric, brands expect detailed, data-driven pictures of fan bases. According to Nielsen’s Top 5 Sports Trends, this data is giving sports teams and brands a better understanding of fans than ever before, and is the mark of a savvy, modern sponsorship agreement. This dynamic creates an intimate partnership between a sponsor and sports team, causing both sponsors and teams to develop flexible marketing tactics and creative assets that resonate with each unique audience. The next generation of billboards is here to stay. Combining smart technology and predictive analytics, this new era of sports sponsorships is all about personalization. Whether it’s exclusive content, custom offers or sponsored in-game experiences, today’s sponsored digital assets and physical events are all about surprise and delight: after all, that’s what the fans want. Interested in learning more? We’d love to chat with you about how we work with OUTFRONT Sports and other clients to integrate the next generation billboard into the fan experience. Drop us a line.